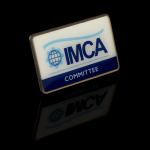 Many companies, organisations and associations award Lapel Pins to create a sense of unity and camaraderie. Lapel Pins can also be an aid memoire for an important event or to thank the participants for their contribution, a form of recognition and appreciation presented on a landmark anniversary or an extra special event. Alternatively, they can be used as a cost effective promotional tool. 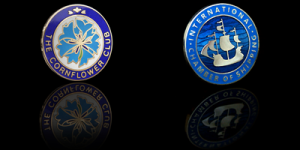 The purpose of the lapel pins determine the design and production method used so will be fully considered by our design team when providing a solution. We were approached by Cartier London office with a view to remake a Cartier lapel pin, based on a lapel pin that they had commissioned quite a few years ago. As technology has advanced, we were able to make the lapel pin even more detailed than the old version was. World Sailing, the governing body for the sport of sailing, got in contact, asking if we could rather quickly produce some lapel pins to be handed out at their 2016 Annual Conference in Barcelona.